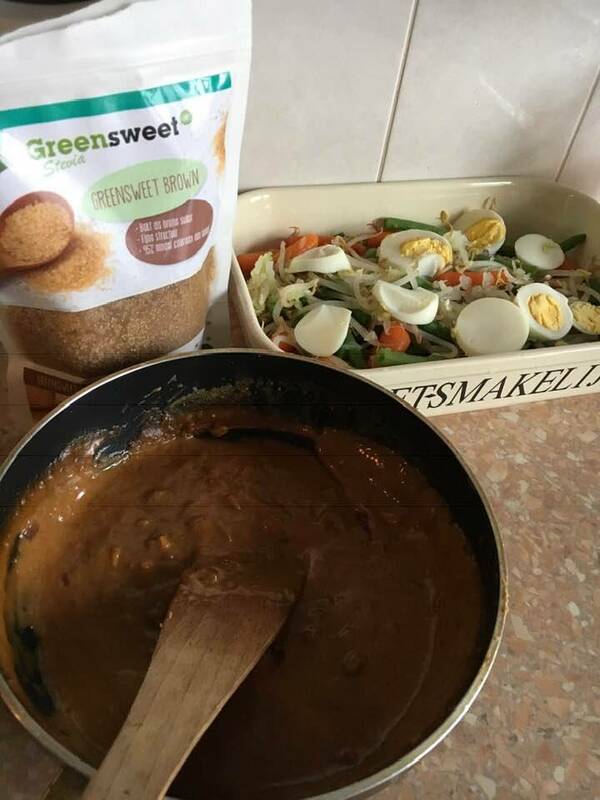 A recipe from Lianne Beekhuizen in which she processed Greensweet Brown. dash of soy sauce and milk. Even the sauce slightly spicier by adding some sambal to it !! First let the onions in some oil be glazed, add peanut butter and melt the Greensweet Brown. Then the milk, you can determine the thickness yourself. Garlic and possibly the sambal ! !